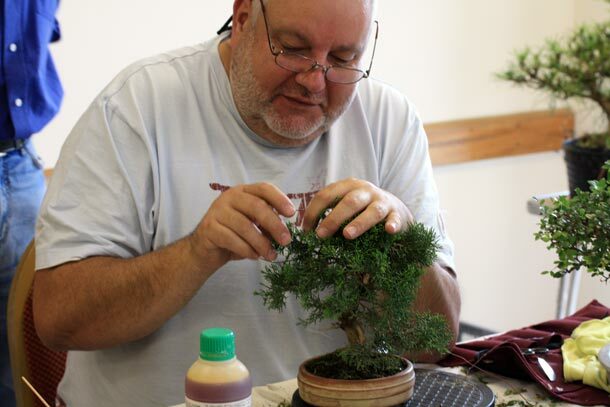 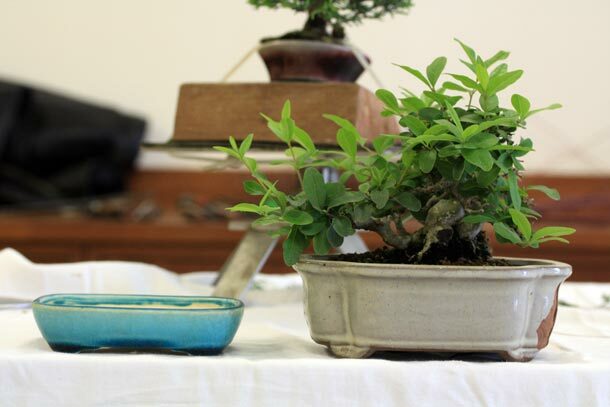 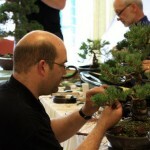 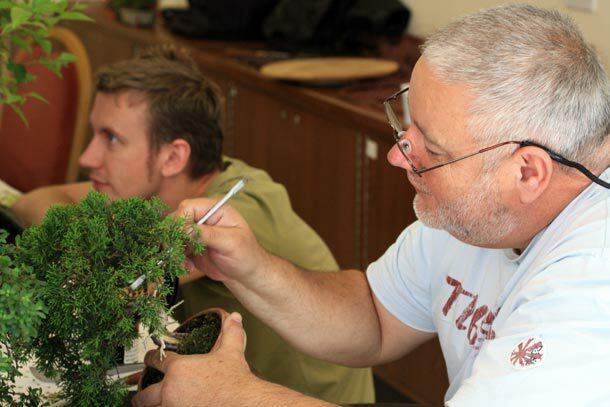 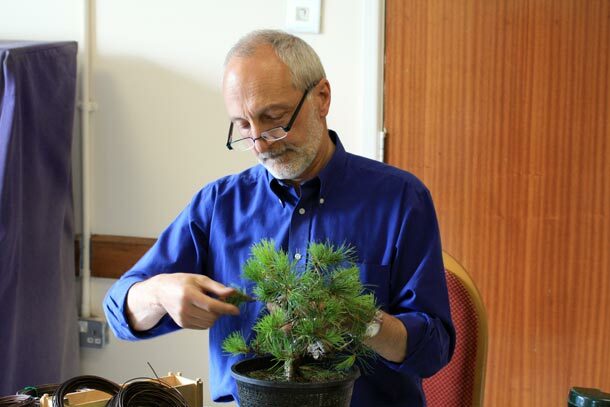 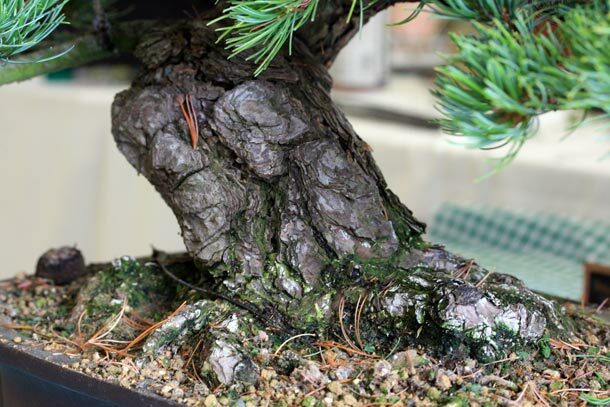 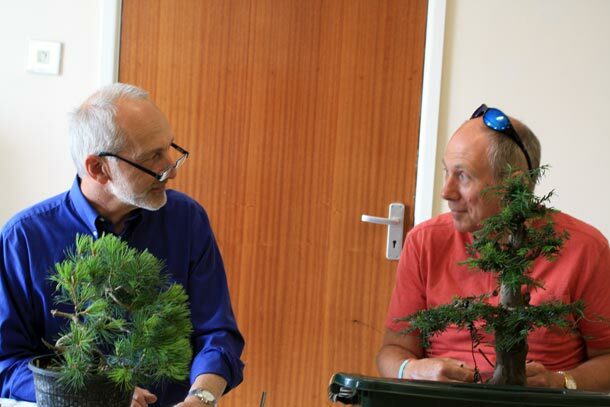 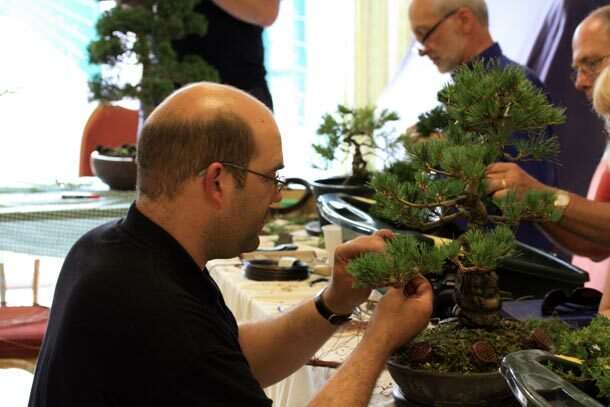 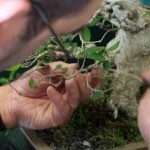 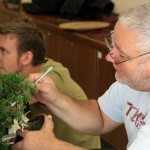 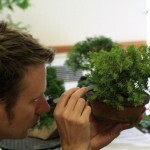 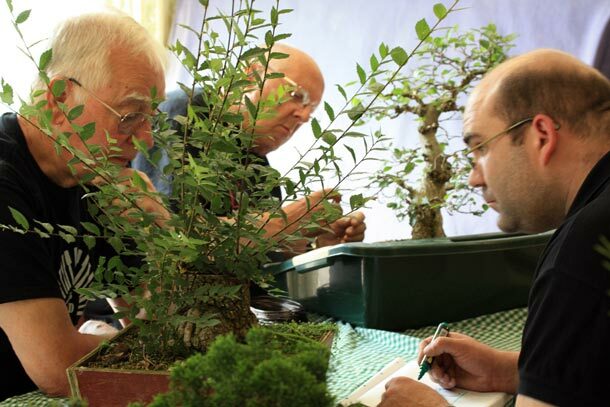 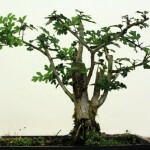 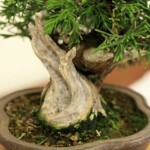 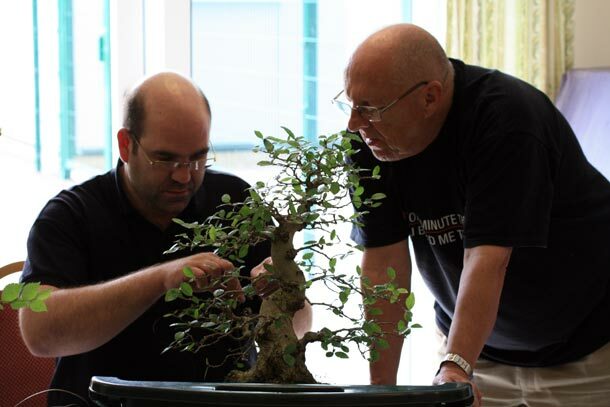 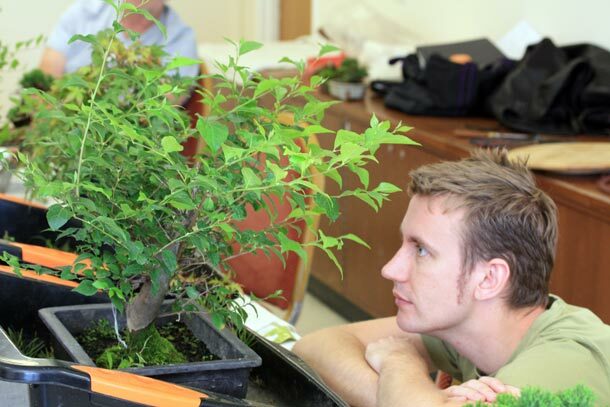 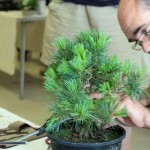 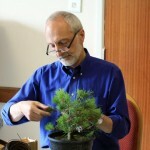 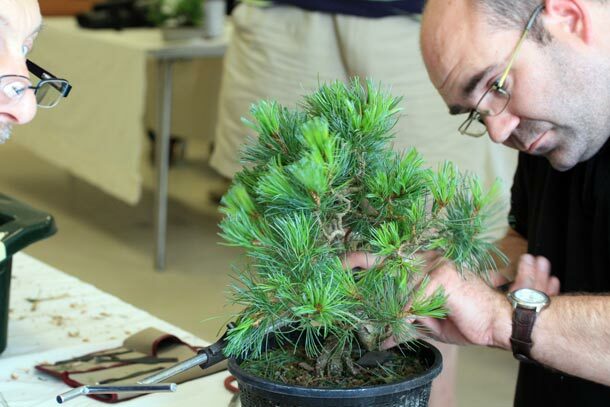 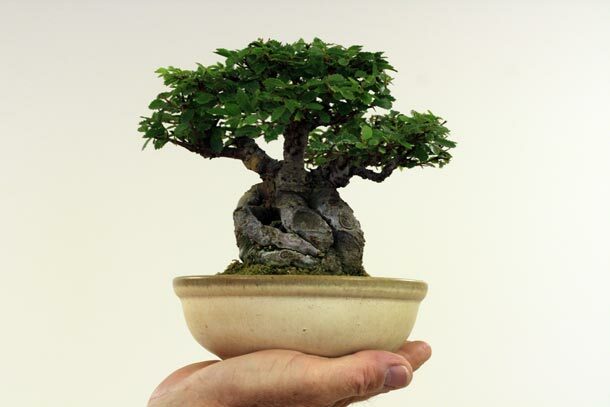 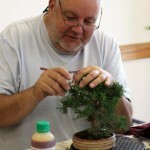 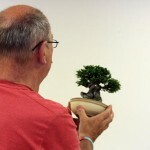 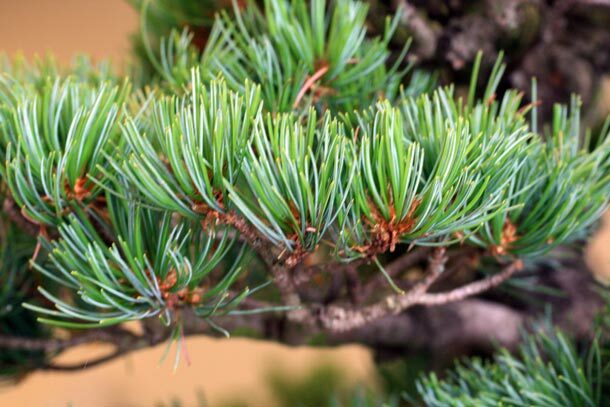 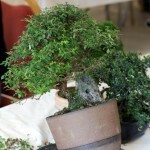 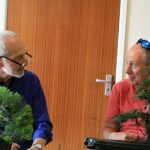 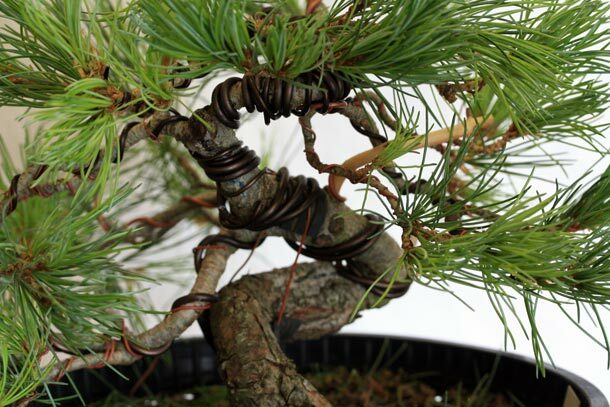 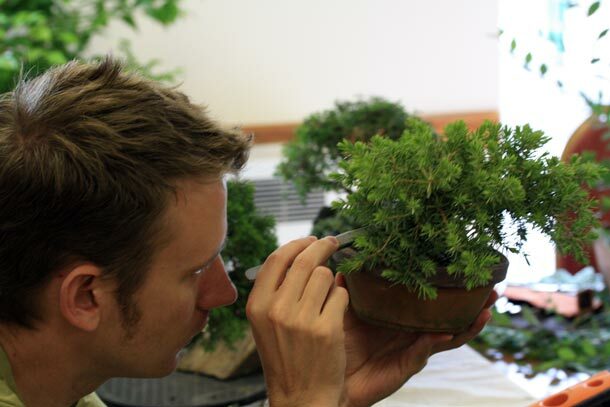 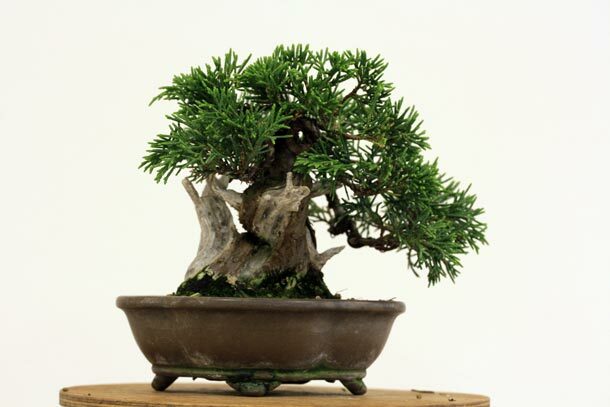 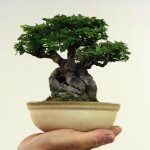 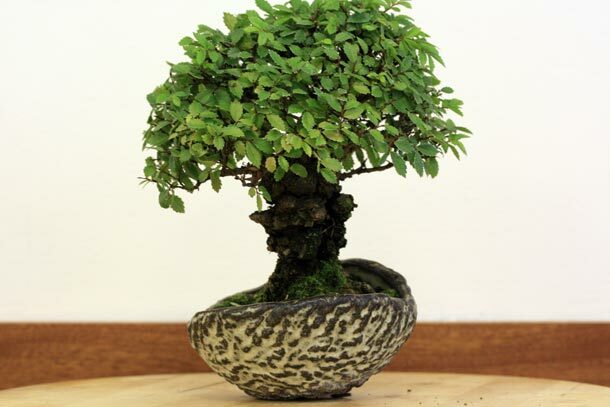 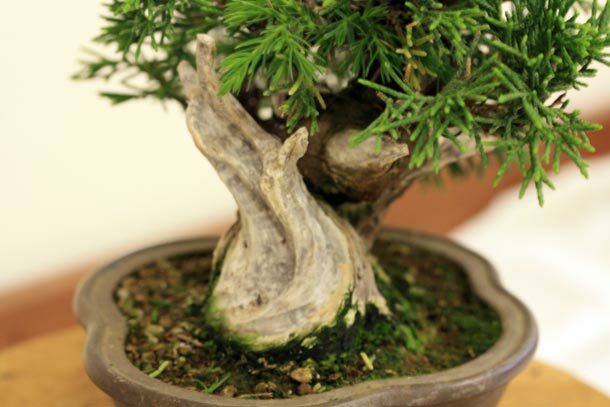 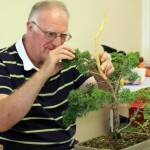 John Armitage is somewhat of a celebrity in the bonsai world and quite rightly so, his advice is always carefully considered and well placed. 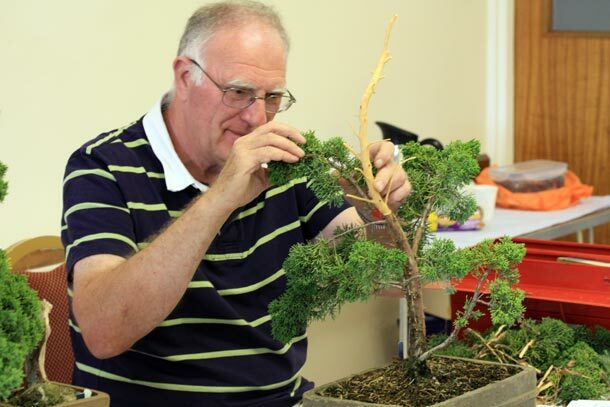 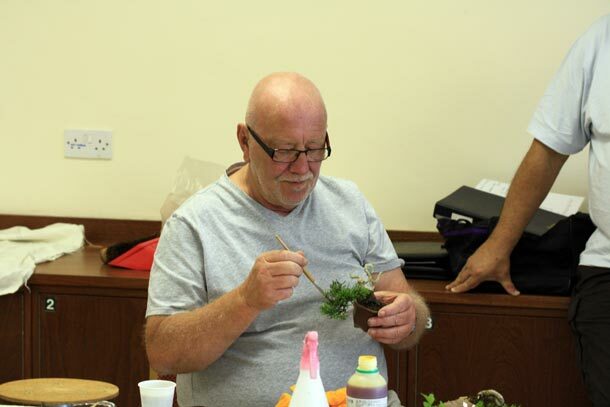 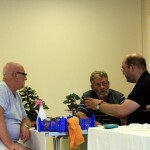 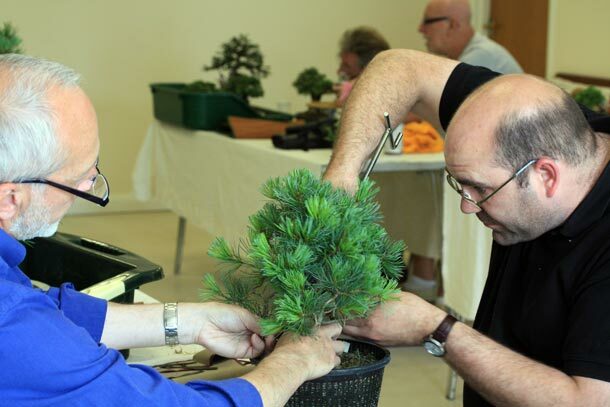 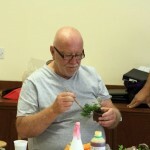 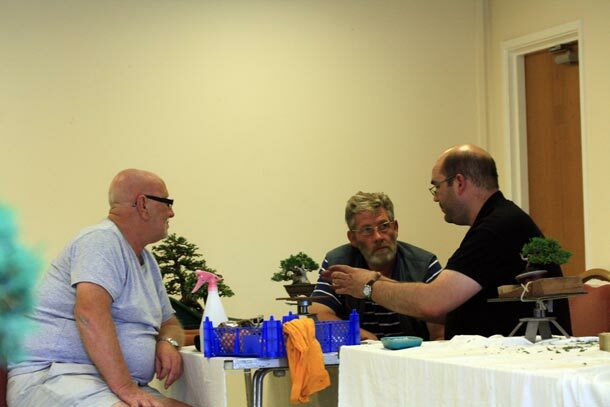 The club has had a few workshops with John, the reason we keep having them is because the club always gets a lot out of them and this time was no exception. 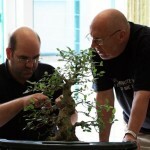 The highlight of today for me was John working with Graham on some mad trunk bending. 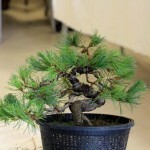 The subject was a White pine, discarded from a previous New Talent contest. 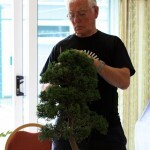 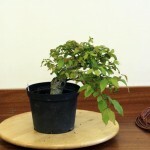 Graham described how he acquired the unwanted tree, now rejuvenated back into health, was now ready for work. 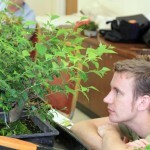 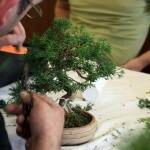 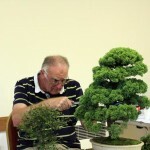 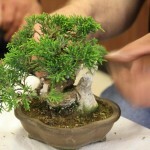 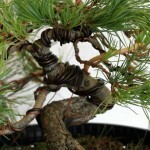 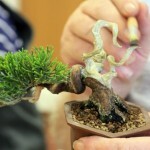 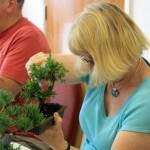 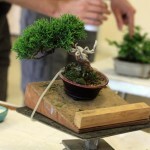 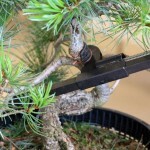 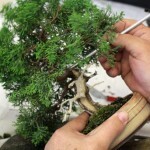 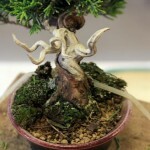 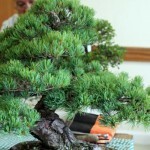 The activity consisted of pruning, the use of an adjustable jack and a lot wire to hold it all in place. 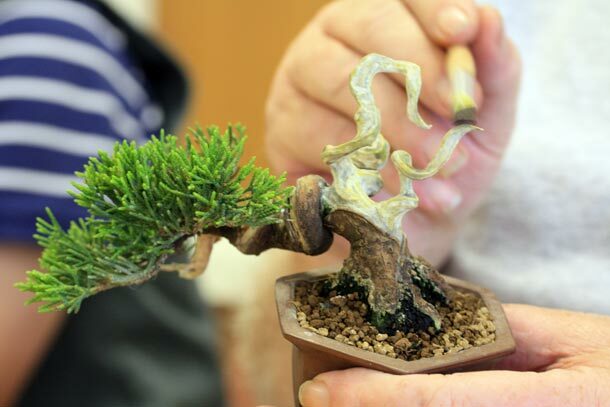 It now looks absolutely fantastic and I think it tells a good story of how something thrown away can be turned around into something really desirable. 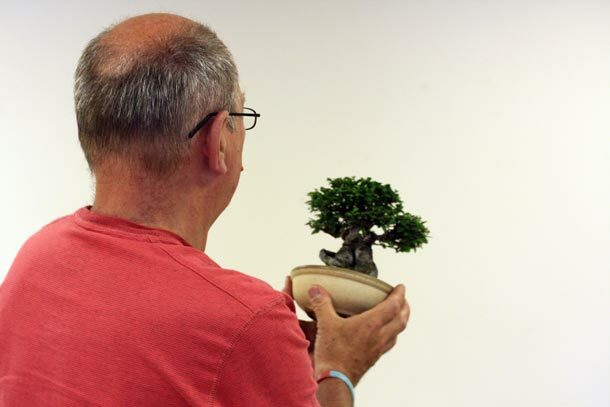 Bob discussed how he keeps his Mame collection in an oversized pot for the majority of the year in order to aid health and development. 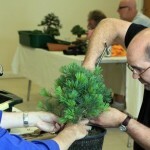 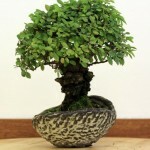 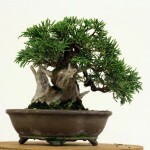 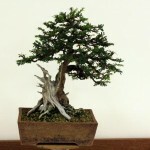 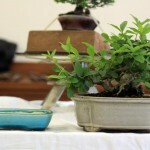 When the tree is to be displayed, it is only then it is put into a it’s ‘show’ pot. 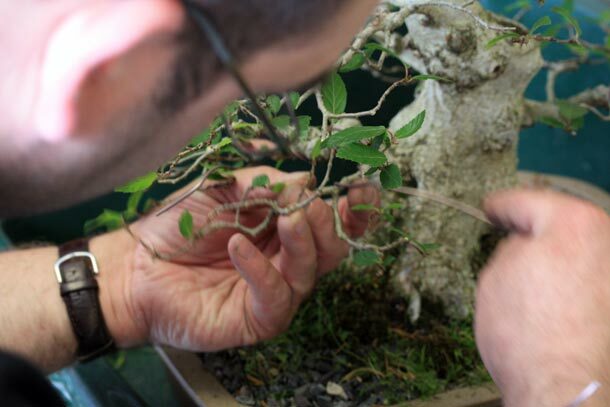 As the weather this year has been hot and very dry this also helps to relax the demanding watering regime of the smaller potted tree. 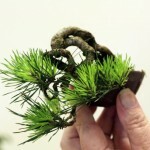 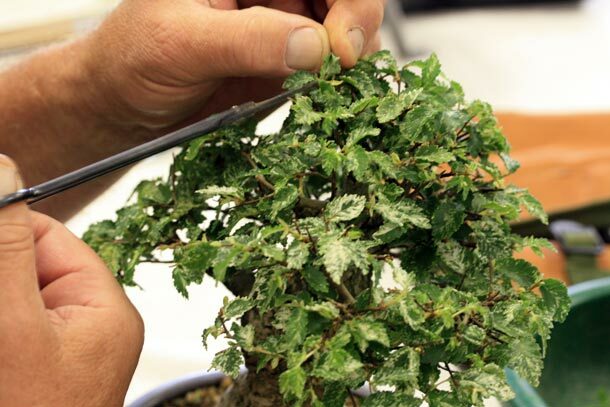 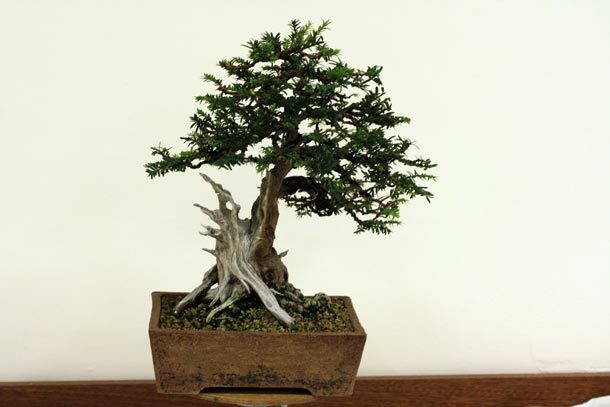 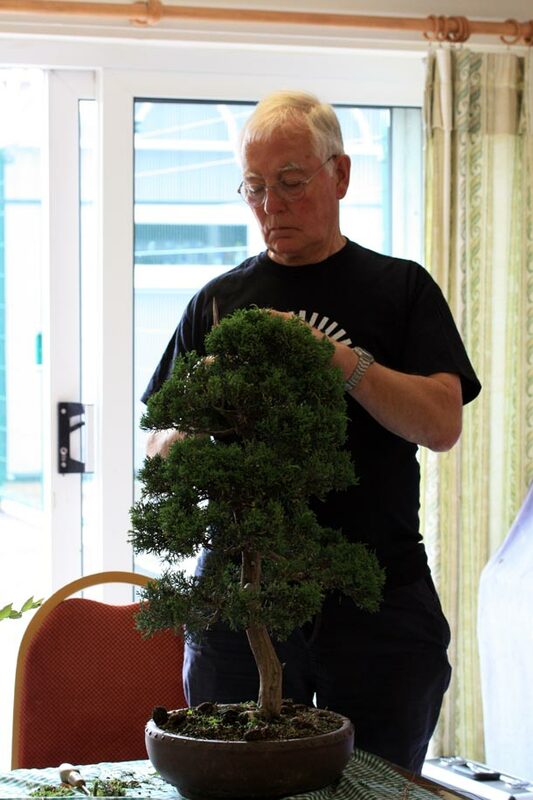 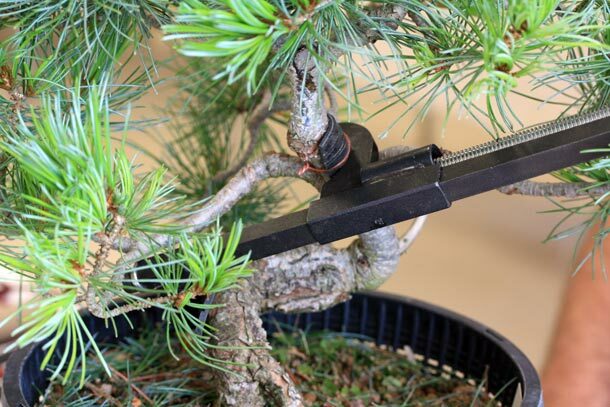 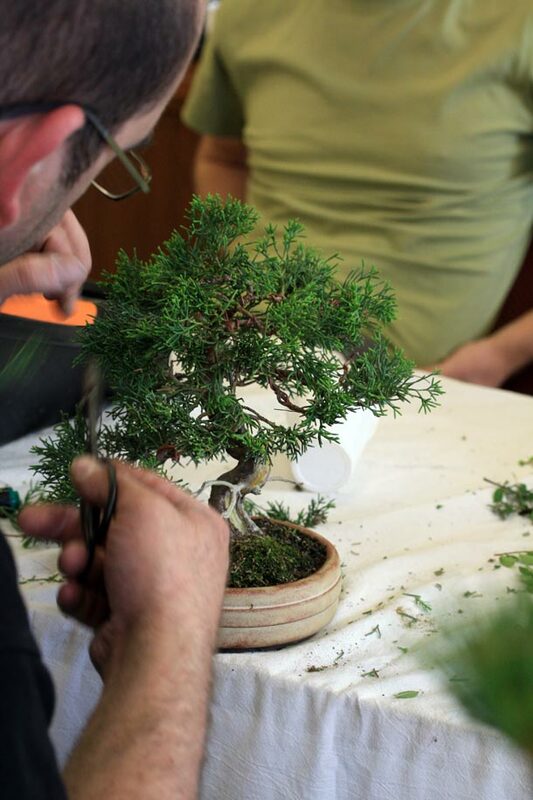 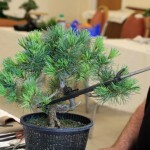 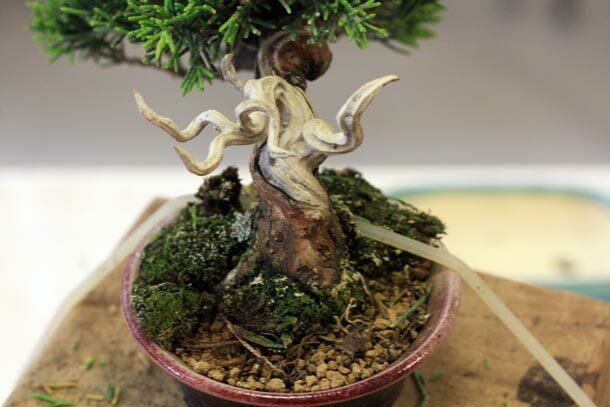 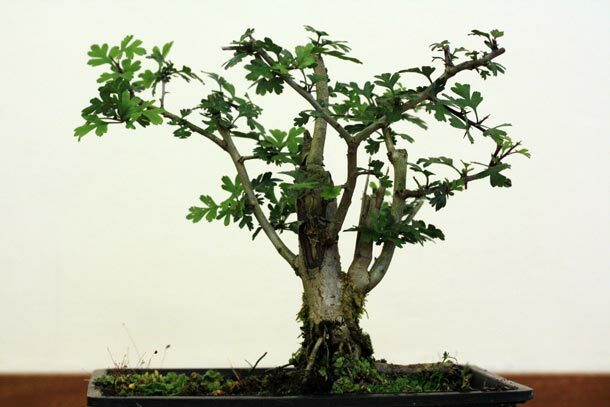 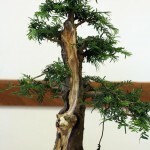 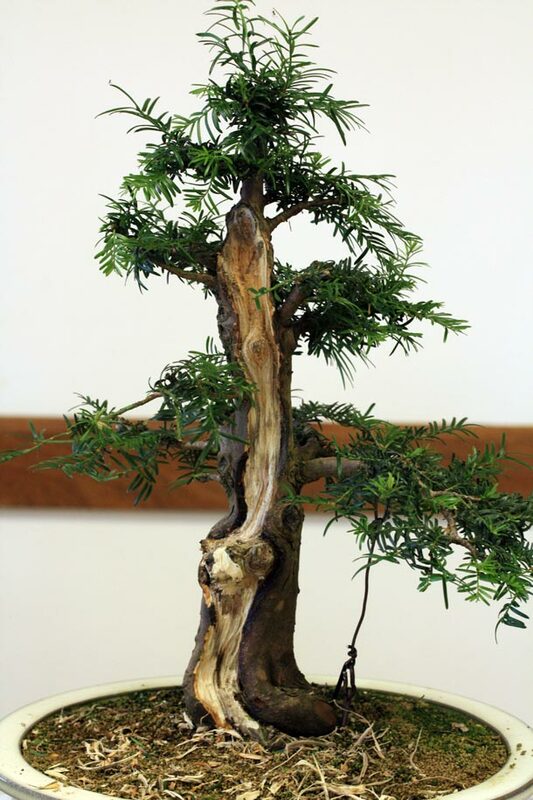 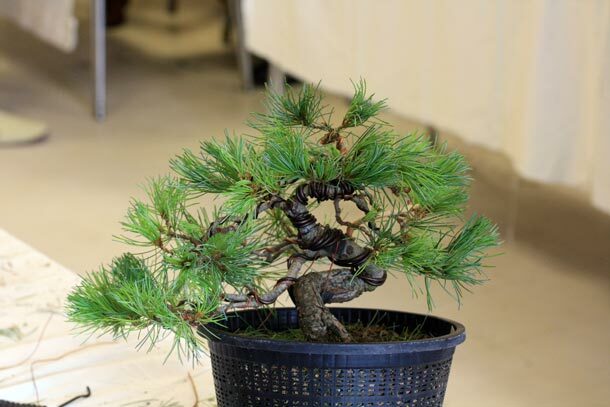 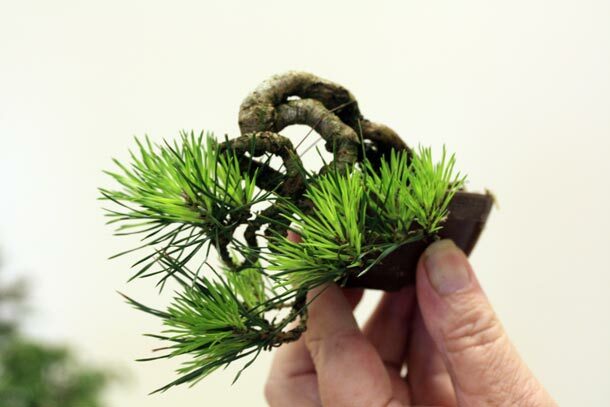 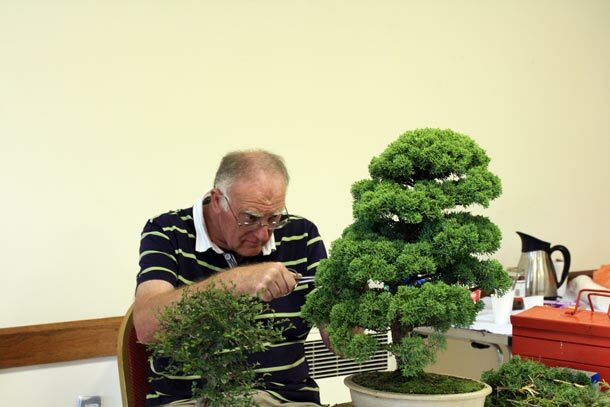 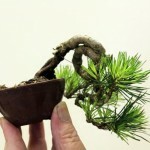 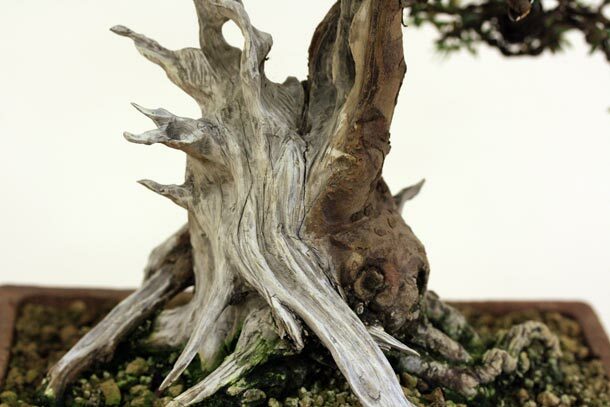 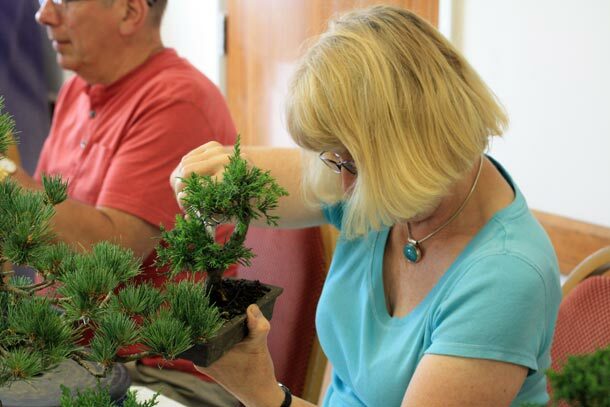 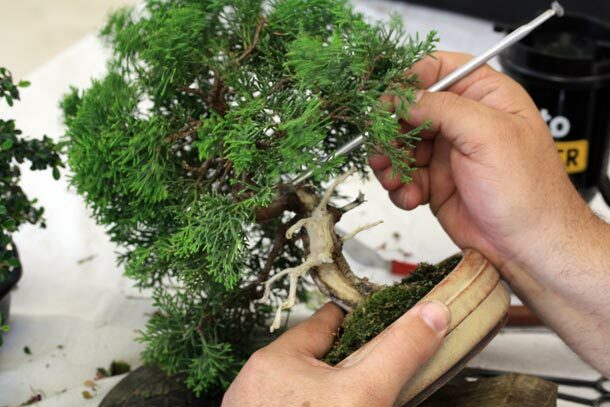 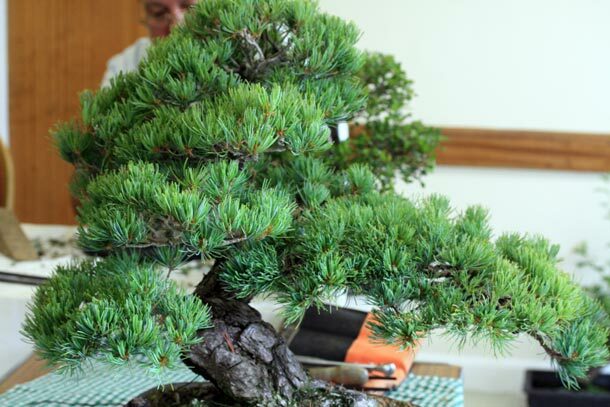 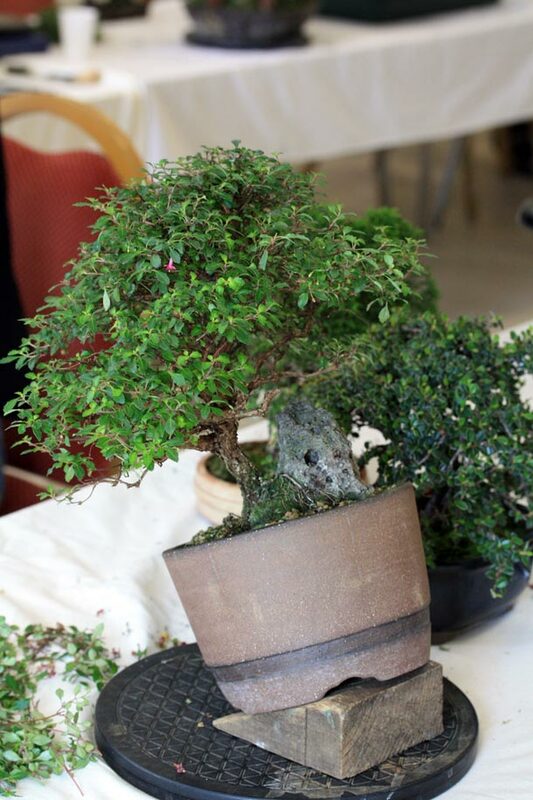 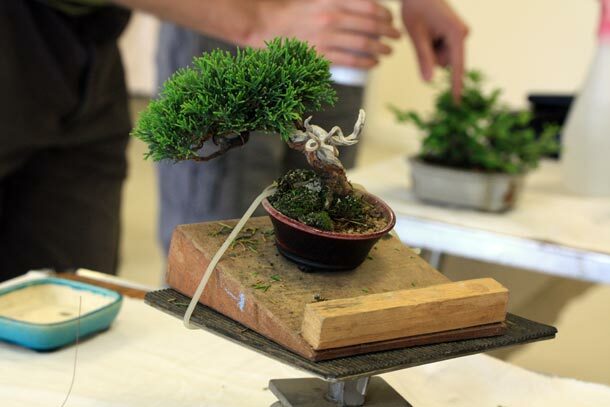 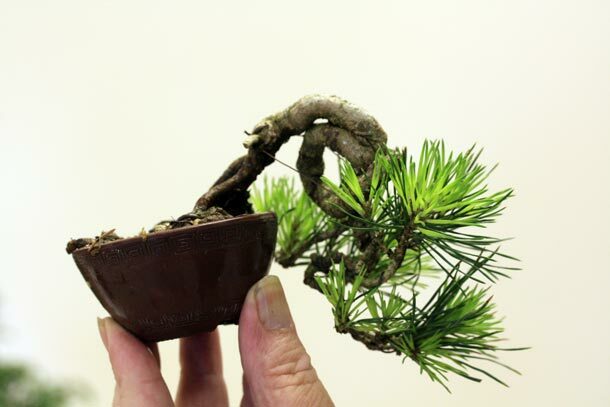 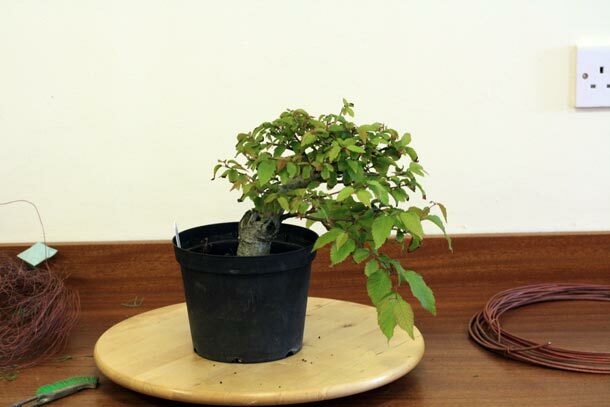 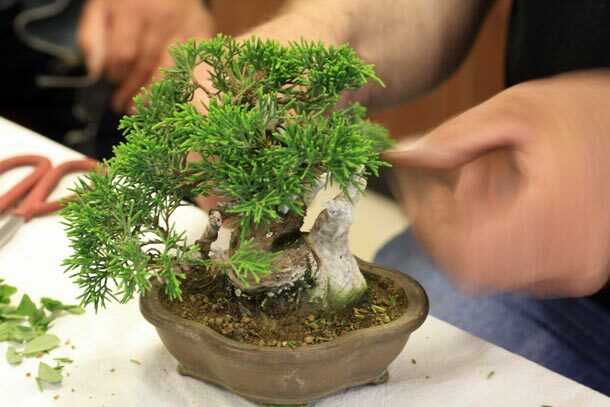 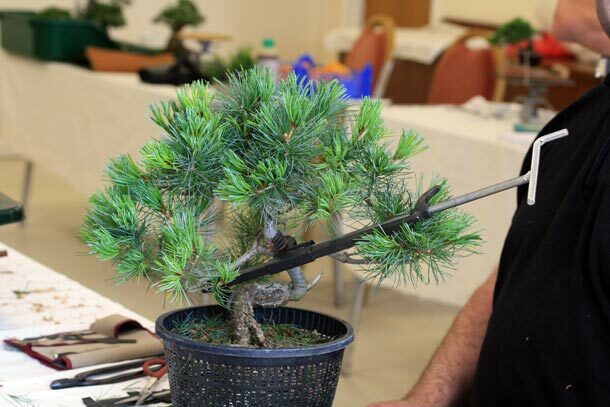 Another problem solved in this workshop was what was affecting Frank’s Juniper, the outcome was that of Juniper scale ‘Carulaspis juniperi’ which causes yellowing of the green foliage due to in the sap feeding scale and with heavy infestations you can also get stem die back. 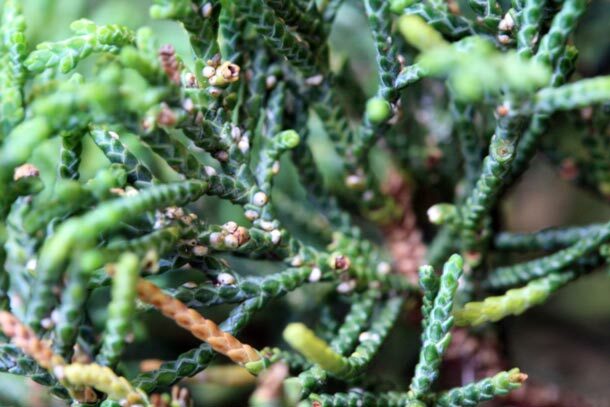 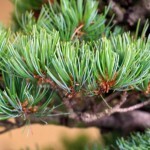 This type of scale can also affect Cypress and Thuya and the scales are flat, rounded and yellow to white in colour and encrust the stems and often undersides of the foliage sprays. 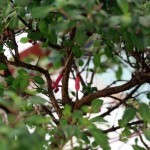 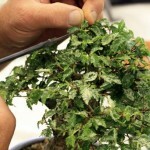 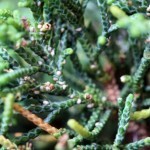 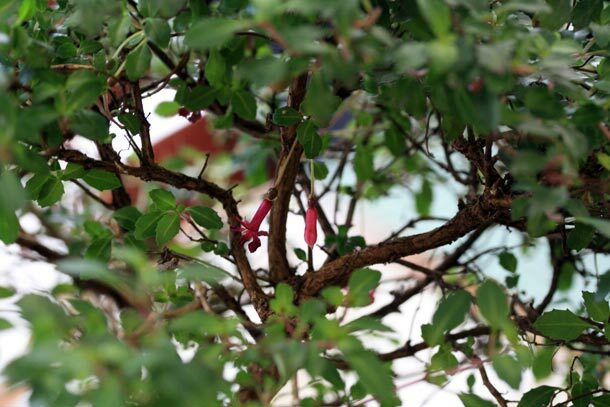 With regard to control, you can spray the foliage with a pesticide containing malathion or equivalent product in early summer when the more vulnerable and newly hatched scale nymphs are present. 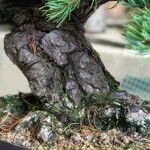 See image for detail. 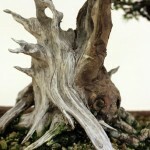 Posted July 2, 2011 by RA & filed under Workshops.